Web Wiz provides a 30-Day Free Trial with no obligation on all our Eco Web Hosting and Eco Reseller Web Hosting Packages. Our Free 30-Day Trial will allow you to try our Eco Web Hosting to see if it suits your requirements. 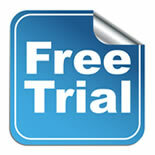 If the service does not meet your expectations simply cancel before the end of the free trial period. Eco-friendly ethics are at the heart of all our services. Hosted in our own UK Eco Data Centre which is powered by renewable energy from our on-site Solar Panel Array using 100% Renewable Energy and Carbon Offset. For further information have a look at our Eco Web Hosting page to see what steps we take to lower the impact of our services on the environment.